In hydraulic drives proportional and servo valves control the volume flow of hydraulic oil. In order that an exact dosage, and therefore a controlled movement is possible, displacement sensors are integrated into the valves. 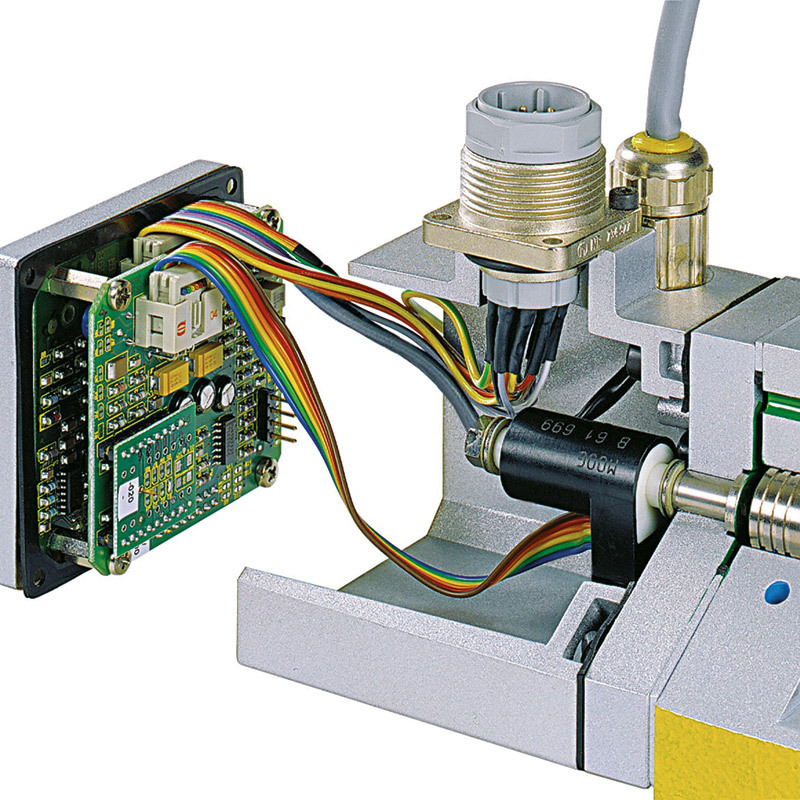 These sensors acquire the position of the control piston to regulate the volume flow. An accurate, non-contact and, above all, dynamic position acquisition is required for this. An inductive displacement sensor from MICROEPSILON best fulfills these requirements.